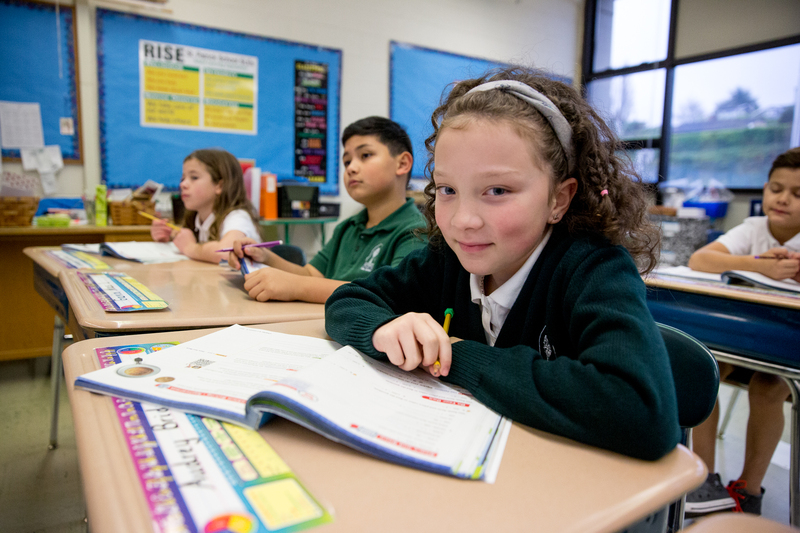 Faith is at the center of our studies in 4th grade. 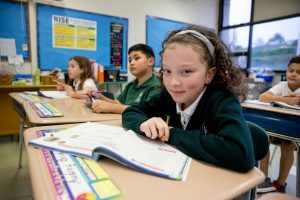 In the classroom, students pray several times a day, learn religion lessons and are direct participants in many service projects throughout the year. Students concurrently develop greater understandings in: math, Washington state history, FOSS Science, penmanship, and literacy. Specialists teach enrichment classes that include art, music, library, computers and physical education. Band is optional for 4th graders. See Intermediate Enrichment Classes to learn more.